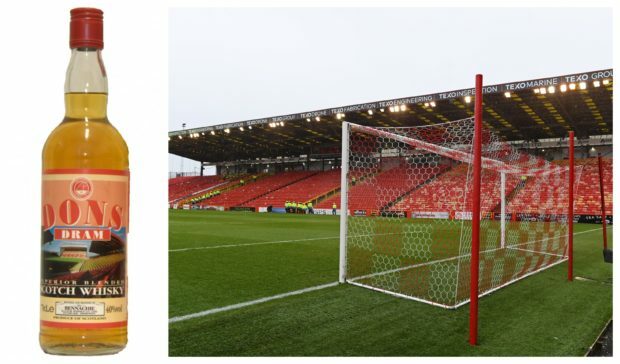 Aberdeen FC have lost a legal battle with a sherry producer over the name of its official Scotch whisky. 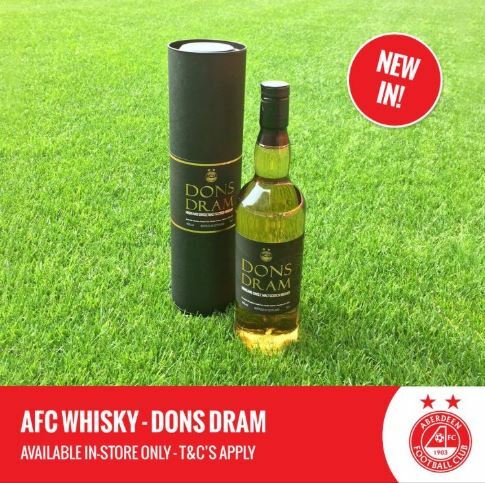 The club launched a blended whisky called Dons Dram in partnership with a local distillery in 2016, and applied to register the name as a trademark. But drinks firm Sandeman, who produce a Spanish sherry called Don Fino featuring a caped mafia figure on the label, objected to the move. The brand’s lawyers said the application overlapped with their registered trademark and people could confuse the two businesses. They claimed that Aberdeen could benefit from this confusion, and called for their application to be blocked. Aberdeen argued the club were formed in 1903 and had been affectionately known as The Dons for more than a century. Now the UK Intellectual Property Office (IPO), who rule on trademark disputes, has found in Sandeman’s favour after ruling that the vast majority of the public wouldn’t know Aberdeen were referred to as The Dons. The club has now been ordered to pay Sandeman £1,500 in legal costs following the conclusion of the hearing. Aberdeen will now also have to change the name of their whisky or apply to Sandeman for permission to use it. In a written ruling, trademark hearing officer Chris Bowen said: “The applicant has provided evidence indicating that it has been known as The Dons since at least 1909. “While I accept that it may be known in this manner by some average consumers who have an interest in football, I think it far more likely that the vast majority of those interested in football (let alone amongst those with no interest in football) would make no association between the applicant and the words The Dons. “A substantial number of such customers are, in my view, likely to assume that the opponent’s business is now also conducting a trade in whisky related products, by reference to its Don trade mark. Last night, an Aberdeen FC spokesman said: “We are surprised and disappointed by the ruling. In their argument to the board, the legal team had said Aberdeen was one of the best-known Scottish football clubs in the UK and internationally due to their Gothenburg glory and former connections such as Alex Ferguson and Willie Miller. FIFA 19 – How do the Dons line up?